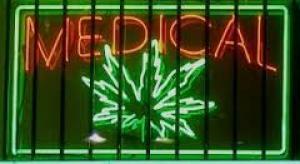 In a decision that is already having an impact on medical marijuana access, a California appeals court ruled November 9 that cities and counties can lawfully ban medical marijuana dispensaries. In the days since the ruling was announced, a number of localities have already either moved to enact bans or halted plans to regulate dispensaries. California laws "do not provide individuals with inalienable rights to establish, operate or use" dispensaries, nor do they say that dispensaries "shall be permitted within every city and county," wrote Justice Carol Codrington for a unanimous court in City of Riverside v. Inland Empire Patients Health and Wellness Center. California law expressly allows localities to regulate dispensaries and restrict their locations, Codrington wrote, adding that a total ban is "simply a means of regulation or restriction." The issue is one that has been roiling the waters for years, but the decision by the 4th District Court of Appeals in Riverside is clear and unambiguous. Combined with an appeals court ruling last month that the city of Long Beach could not adopt regulations allowing dispensaries because marijuana remains illegal under federal law, the ruling paves the way for a reinvigorated crackdown on dispensaries by local governments across the state. Access to medical marijuana is already problematic in large areas of the state. According to Americans for Safe Access, 168 cities and 17 counties have banned dispensaries and another 80 cities and 10 counties have enacted moratoriums. On the other side of the coin, only about 40 cities and 10 counties have enacted ordinances to allow dispensaries. Localities were already getting nervous in the wake of the Long Beach decision last month, and the number of locales enacting bans is likely to grow quickly after the ruling. Santa Cruz County is likely to impose a moratorium this week, while the city of South Lake Tahoe is looking to repeal its recently enacted dispensary ordinance. The city of Long Beach is now considering a ban, and other cities that have been facing court challenges on similar issues, like Rancho Mirage, are now more confident their bans will be upheld. While the city of Riverside now plans to move ahead with shutting down all 15 dispensaries in its jurisdiction, Inland Empire founder Lanny Swerdlow told the Los Angeles Times he expects the collective will appeal to the state Supreme Court. "We think that it's wrong that a city can ban a state-permitted activity by zoning it out of existence," he said. "By allowing cities to ban, it just makes a crazy-quilt pattern across the state." This pair of appeals courts decisions are yet another blow to a medical marijuana industry beset by a renewed federal offensive against distribution and cultivation. Federal prosecutors across the state last month moved to shut down a number of dispensaries, have threatened landlords with asset forfeiture and possible prosecution, and have even warned elected officials they were not immune to possible federal action.